Clu gives his reactions to the first two rounds of the tournament and previews the sweet sixteen and elite eight rounds! 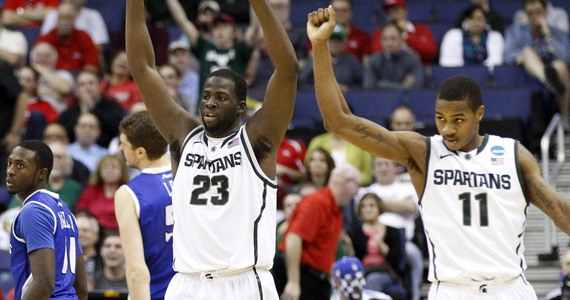 So, what a weekend it was for college hoops and The NCAA tournament, huh!? Brackets were destroyed, Duke Lost, And we have quite a few double-digit-seeded teams that ended up being cinderellas! I hope you were able to keep up with all of the bracket busting that happened in the first few rounds. From all this, I hope to give you a little bit of a the best of what happened and then, of course, talk a little bit about the worst of what happened in the first rounds of the NCAA tourney as well. Finally, I’ll dive into some quick breakdowns and predictions for the Sweet 16 and Elite 8 rounds, in case you are still trying to break even in your office pool… Here’s your chance. Enjoy! The Greeeaaattt state of Ohio! Look at these ‘effin guys! Out of the Sweet 16 we have four teams that come from the Buckeye State, also known as Ohio. Xavier, Cincinnati (remember these two teams?) 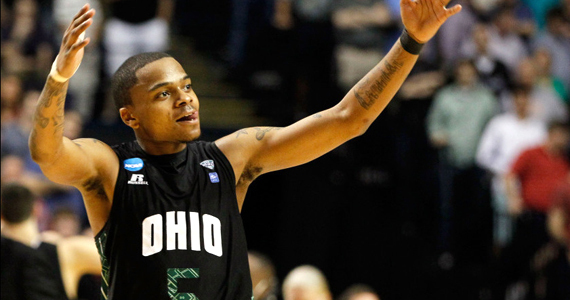 Ohio State, and the cinderella story Ohio Bobcats, who are led by D.J. Cooper. 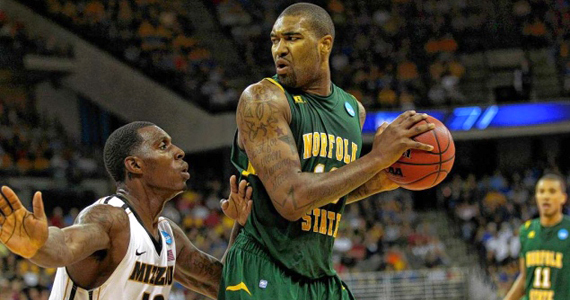 Cooper is a Chicago native, who turned down an offer to play at Baylor University that was only extended when the Bears couldn’t sign John Wall. He took this as a sign of disrespect and decided to go to a team who wanted him at #1, so he went to Ohio. In the Sweet 16, the Bobcats will face a North Carolina team that has been devastated by a major injury to their top point guard Kendal Marshall, who suffered a fractured right wrist. It is uncertain if he’ll play or not against Ohio (he probably won’t, as he is now recovering from surgery). Could this be another big upset in the making? We’ll soon find out in St. Louis. Xavier was another surprise team, they had to fight and claw their way into the sweet 16 by taking out Notre Lame in the 2nd round on a very controversial call by the refs in the closing seconds of the 2nd half (see the play for yourself and you be the judge). Don’t forget the other two Ohio teams, Ohio State and Cincinnati, as they will face off against one another in Boston, Mass…more on them later. Big time upsets that did a whole lot of nothin. Now this is exactly what I talked about throughout the year with my bracket science posts, as well as my mid major conference road trips… Too bad I didn’t talk about the right teams! The big upsets that happened this year were not by Harvard or South Dakota State, or even Iona (check out their stunning First Four loss to BYU). They were by Lehigh, Norfolk State and Ohio. Out of these three teams, we know Ohio made it to the sweet 16, but everyone else seemed to have fizzled out after their big first round wins. Yes, Lehigh and Norfolk State knocked out Duke and Missouri in monster wins. It was the first time in NCAA history that we had two #2 seeds lose in first round the same year (and only the 5th and 6th all-time! ), but what happened after that? Aren’t you suppose to pull off the bigger upset, put on the glass slipper and dance into the sweet 16? Well, I guess they didn’t get the memo, as it didn’t happen this year. The upsets led to a lot of good basketball, close games (almost a dozen games decided by 6 points or less in this tournament), but no big time cinderella story’s outside of the Bobcats. …More like the crappy Pac-12 and Mountain West. What the hell happened here?? No school west of Texas was able to advance to the sweet 16? Whats the deal?? The Mountain West was able to bail out these schools with BYU’s come from behind win over Iona in the First Four, but what happened after that? a 88-68 drubbing by Marquette. 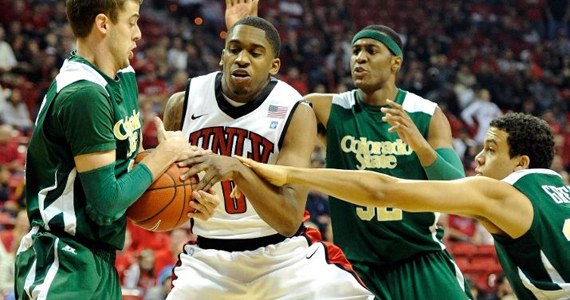 #6 UNLV was upset by Colorado, who then lost to Baylor, and #6 San Diego State was upset by the Wolfpack of North Carolina State. Even WCC Gonzaga and St. Marys, two teams very capable of wearing the slipper, didn’t stand much of a chance this year. Something must be in the water out on the west coast, because this tournament is all East and Midwest now. Ok, so I figure I will end the Best/Worst on a good note, by talking about the Big East conference and their dominance in the tournament so far. They will be sending four teams to the sweet 16 this year: #3 Marquette, #4 Louisville, #6 Cincinnati (mentioned above) and #1 seed Syracuse. All four teams have a chance to make it to the Final Four. Unfortunately for all four teams, they will have to play one another for a chance to represent the Big East in the Final Four (Louisville and Marquette in the west and Syracuse and Cinci in the East), if they manage to advance to the Elite 8. Any one of these is capable of winning it all. Syracuse, who is in its final year in the Big East, has one of the deepest teams in the country and were able to flex their big Orange muscles over Kansas State (many of whom thought would easily brush aside Syracuse in an upset win). Louisville, the Big East tournament champs who are in the midst of a run winning six in a row, are guided by the wise coach Rick Pitino, who knows how to win (Jobu’s Note: In College, because Robert Parish never walked through the door). Marquette, meanwhile, has been at the top of the Big East all year long by playing stellar defense, and Cinci who has been on a roll as well, is playing hard, winning close games and upsetting big time teams (they beat #1 seed Syracuse in the Big East tourney and #3 seed Florida State in the 3rd round). Do the Bearcats have enough in them to pull off another upset over #2 seed Ohio State this thursday? We’ll see who comes out winners this weekend, but for now it is a good sign that the Big East is well represented in the Sweet 16. I feel it’s necessary to at least give you my take on who I think will win their regions and punch a ticket to the Final Four in New Orleans, so here we go. Get your pencils out and undo the damage you have already done to yourself by picking Duke to win it all. Prediction: This is set to be an epic rematch of the earlier this year. Will the Wildcats make the Hoosiers pay? Can the Hoosiers find another way to pull off the upset with Freshman sensation Tyler Zeller? Maybe another buzzer beater? 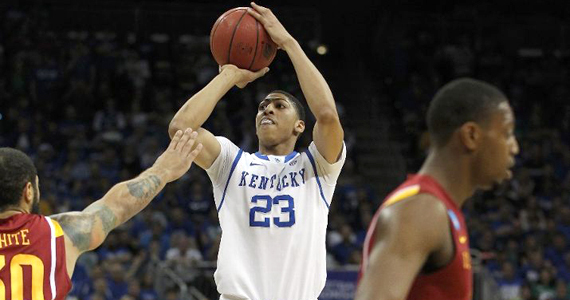 Winner: I like the underdog, but Kentucky is too much to hang with here…Kentucky wins. Prediction: The Tar Heels are hurtin’, as they limp into the sweet 16 without their starting point guard, Kendal Marshall. This team still has the talent to win it, but now it will be a challenge as Ohio is sure to bring their fan base (St. Louis is closer to Athens than Chapel Hill), and the pain from their leading scorer D.J. Cooley too. Can the Bobcats pull off yet another upset? Winner: Sorry Bobcats, nice try..UNC wins. 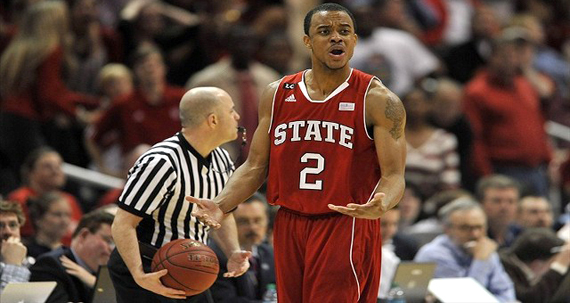 Prediction: NC State is playing like a team possessed right now. They are playing hard, making shots and are on a run ever since that loss to North Carolina in the ACC tournament. Kansas still has one of the best one-two punches in college basketball with Thomas Robinson and Jeff Whitney. Purdue did exploit some weaknesses of the Jayhawks. Hopefully they will be able to correct these, or they might be in for a world of hurt. Winner: N.C. State upsets Kansas for a Tobacco Road Elite 8. 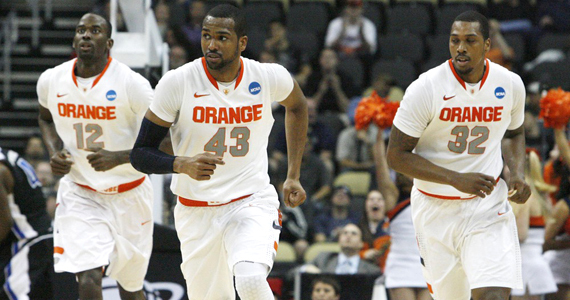 Prediction: In my opinion, this could be one of the best matchups for both Syracuse and Wisconsin, ‘Cuse is one of the deepest teams in the tournament (receiving 33 combined bench points from forwards Dion Waiters and James Southerland vs. Kansas State), they have senior leadership and are starting to play good defense again. Wisconsin has one of the deadliest 3-point shooters in the nation in Jordan Taylor, but they just don’t have the defense there. Winner: None of the analyst who get paid millions of dollars to win picked Syracuse, so I will! And I will do it for pretzels! Prediction: The Bearcats have been playing some hard nosed defense, but they face their toughest challenge yet with Jared Sullinger standing in the way of their hopes of getting to the Elite 8. Bearcats PGs Sean Kilpatrick & Dion Dixion will definitely have their work cut out for them. 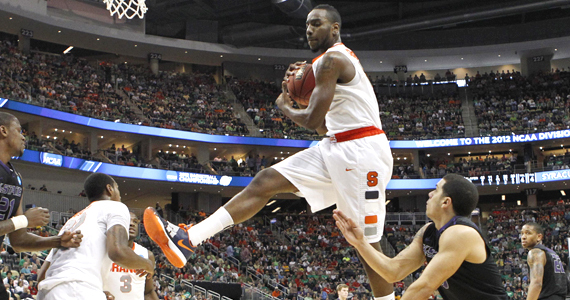 Winner: Yancy Gates will do his best to keep Sullinger at bay, Cinci pulls off the upset. EAST REGIONAL ELITE 8 PREDICTION: #1 Syracuse avenges their Big East Tournament loss to #6 Cinci.